Most international flights come into Costa Rica through the Juan Santamaria Airport, outside of San Jose (there are a small number of international flights that arrive in Costa Rica via Liberia’s airport-Daniel Oduber; this airport is much farther from the Osa Peninsula than the airport outside of San Jose). There are daily flights on many major airlines, including Continental, United, and Lacsa/Grupo Taca (the national airline of Costa Rica). 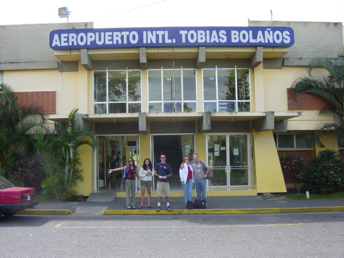 Once you get to San Jose there are two ways you can get down to Puerto Jimenez- by air or by land. For further information, you can contact a consulate in the United States.